The La Crosse, Wisconsin, area is rich in scenic beauty, diverse attractions, first-class hospitality, and superb meeting facilities. Meeting Planners are encouraged to contact us. Located in the heart of downtown La Crosse’s vibrant riverfront district, the La Crosse Center greets hundreds of thousands of guests each year. Let us show you how we can enhance your next meeting, convention, wedding, or social gathering. The La Crosse Center is working to complete a major renovation and expansion; transforming the venue into a more welcoming space with a larger ballroom while taking advantage of the beautiful Mississippi River views. Please contact Kris Salzwedel at (608) 792-5250 or ksalzwedel@lacrossecenter.com for more information about hosting a meeting or convention in one of our many great rooms. See Rental Form. 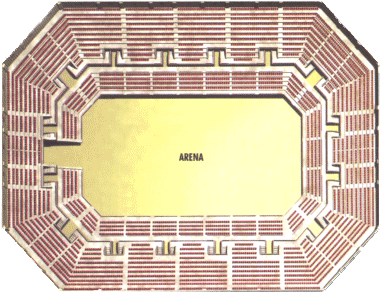 The Arena is a magnificent room with its 45 ft. ceilings; 21,000 sq. 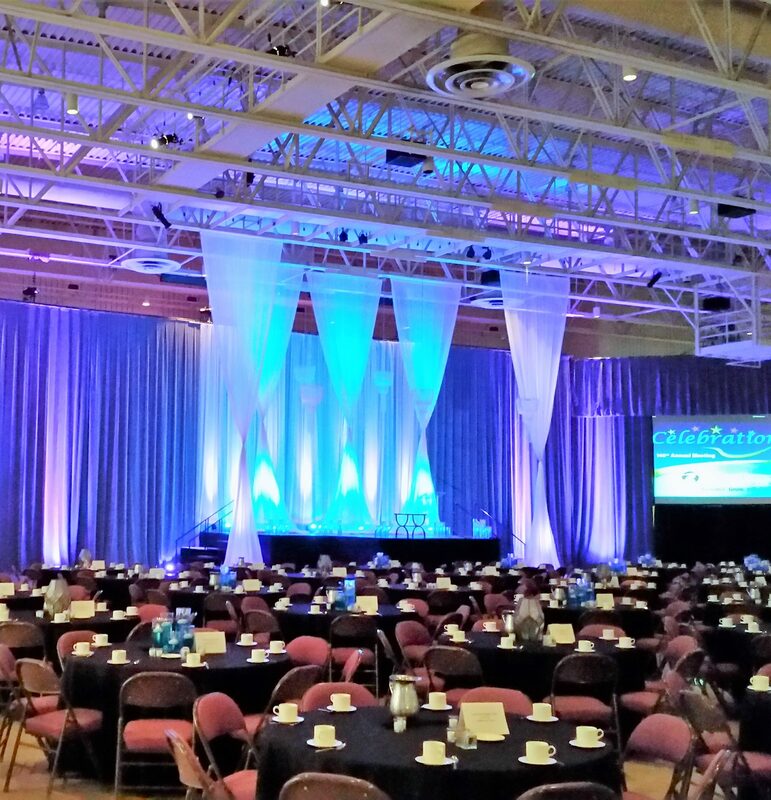 ft. of open floor space; seating up to 8,000, and a full Valure Curtain Package (curtain package hangs from ceiling to floor) that can be used for any show. The Arena has been the home to basketball and indoor football teams. Along with sports teams, the Arena has been used for numerous concerts, craft shows, ice shows, sports shows, conferences, and conventions. * Wall-to-wall carpeting and curtain package available for Arena and South Hall A. Wedding receptions, meetings, and banquets have been held in the Ballroom. With its overview of the Mississippi River and Riverside Park, the Ballroom makes for a romantic setting during a wedding reception or for a relaxing atmosphere during meetings or conventions. The 6,000 sq. ft. Ballroom sub-divides into 3 smaller rooms. Our Boardrooms (A-C) are the perfect rooms for any size meeting. The La Crosse Center offers up to 5 boardrooms (Boardroom B can be divided into 3 rooms) overlooking South Hall A with a beautiful view of the Mississippi River. The North Hall, also known as the North Exhibition Hall, is the ideal place for any event from a convention to a craft show to a wedding reception. 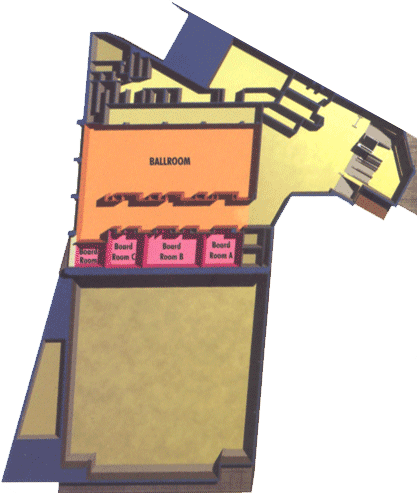 The North Hall comes equipped with two lobbies (upper and lower), an elevator, an escalator, four (4) restrooms-2 ADA, 1 concession stand, pay phones, a full-service kitchen, soundproof portable walls for dividing rooms, and a sound system that can be broken down to the 14 rooms. South Hall is a new $14 million dollar expansion that nearly doubled the space of the La Crosse Center. The South Hall forms two levels of impressive meeting space. The Upper Level consists of the Ballroom, 3 Boardrooms, and a Conference Room. 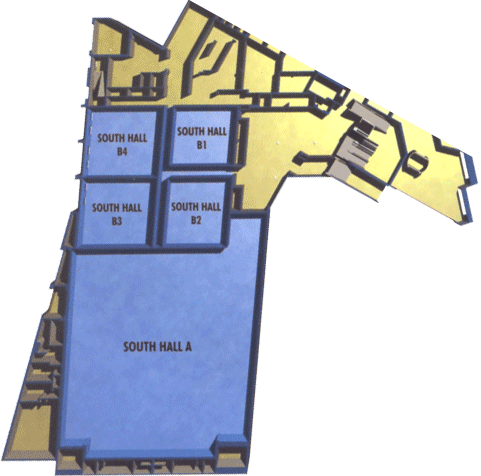 The Lower Level is made up of South Hall A and South Hall B. With a panoramic view of the Mississippi River, the Patrick Zielke Suite offers you a warm atmosphere for business meetings and social gatherings. A soundproof portable wall is used to divide the Zielke Suite. Also, the sound system can be used for the whole room or separated when dividing up the Suite to meet your needs. The La Crosse Center will not receive freight prior to one week of the official set-up day. Shipments arriving early will be refused or diverted to a warehouse, in which case, there will be a charge for warehousing plus an additional delivery charge by the trucking company. Bills of lading shipments must be prepaid and should be on straight bill of lading. Address carefully to indicate number of pieces and weight. If there are heavy items that require special handling or care please forward detailed handling instructions to the La Crosse Center in advance. All outgoing shipments are the responsibility of the shipper. Please have all items clearly labeled and picked up no later than five business days from official move-out day beyond which the La Crosse Center assumes no responsibility. Shipper shall be responsible for all shipping costs.